Description: A white spiral helix embedded in a translucent green superelastic flexible PVC. 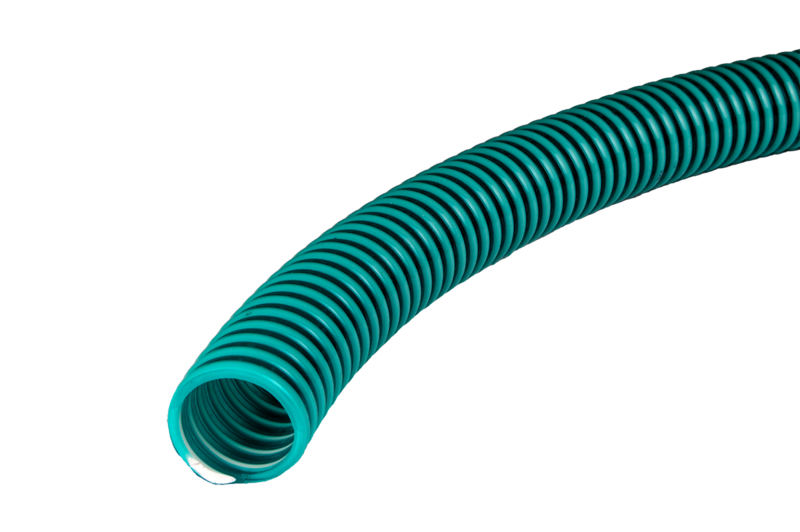 Applications: a multi-purpose hose for medium duty suction and discharge use in the agricultural, industrial and aquatics market. Used In horticultural markets, turf management, in agriculture as seed drill hose, as injector hose and as an irrigation hose. Also suitable for slurries and dilute chemicals. Advantages: Lightweight, flexible, transparent smooth bore. Easy to handle, extensive size range.